Gone are the days of the mega expensive home intercom systems. Certainly, these systems come in many different price ranges, but the average family can install one that is quite affordable. With the added value of increased communication throughout the home, and an overall feeling of safety; home intercom systems are becoming more popular, even with the family next door. 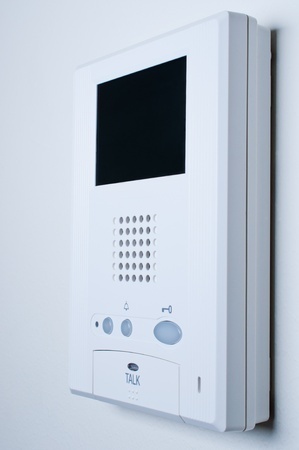 What are the benefits of installing a home intercom system? Many intercom systems today are able to play music from the master station area where all the controls are; creating a beautiful atmosphere throughout the home. The music station can be changed easily and many systems today can play music from the radio, or any digital or wireless device; perfect for the holiday season. Intercom systems have the capability to allow those inside the home to communicate with someone at the front door. If your kids hear the doorbell before you do, or they are home alone after school, they can use the intercom system to see if the visitor is someone safe to let inside the home. Particularly for larger family homes, an intercom system allows communication throughout the home, in an easier and more convenient way. You don’t need to travel from one end of the home to another, just to ask a question. Home intercom systems are extremely helpful when a family member is ill. It makes communication much simpler when medication or care and attention are needed, from one family member to another. With most modern home intercom systems today, there is a privacy feature that will allow families to switch off communication in any particular room of the house. This is a well needed feature for large families with couples, kids practicing musical instruments, home businesses, or entertaining guests or colleagues. These types of systems make you available only when you choose to be. The home intercom system is the most modern way to move through everyday life with your family. With everyone involved in so many activities these days, having a system that allows one to check on a family member in another area of the home, makes families feel more secure and connected.